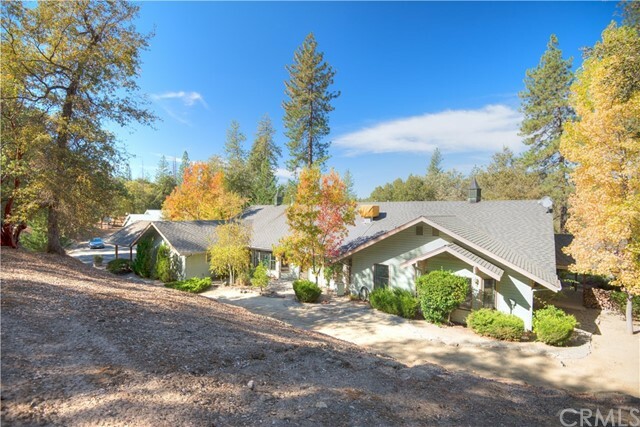 Private gated homestead with paved road and driveway nestled in the foothills of Ahwahnee. Great family setup or could be a retreat or rentals as there are 3 dwellings. The main home is a 3470 Sq. Ft. single story custom plus an attached studio that the present owner uses for art. All rooms are very large and living, dining and kitchen are open to each other. Included with this home is a detached garage with work shop with bath and plumbed for a kitchen. All homes are located very separate from each otherPrivate gated homestead with paved road and driveway nestled in the foothills of Ahwahnee. Great family setup or could be a retreat or rentals as there are 3 dwellings. The main home is a 3470 Sq. Ft. single story custom plus an attached studio that the present owner uses for art. All rooms are very large and living, dining and kitchen are open to each other. Included with this home is a detached garage with work shop with bath and plumbed for a kitchen. All homes are located very separate from each other as this property is 40 acres. Second home is a 1656 Western with 3 bedrooms, 2 baths,2 car garage. The third home is a small cottage of about 800 square feet. It has one bedroom, one bath, kitchen and living room. Each unit has a septic system, power meter, and propane tank. The water system is a well with that has a 2500 gal. storage tank.